1. I am the Petitioner herein. I have firsthand personal knowledge of the facts stated herein and it called as a witness, I could and would competently testify thereto. 2. I submit this declaration in support of my Request for CLETS Domestic Violence Restraining Orders against Respondent John Christopher Depp aka Johnny Depp ("Johnny"). I am also requesting pendants lite spousal support, exclusive possession of the residence located at [DELETE] in downtown Los Angeles ("Broadway residence"), exclusive possession of the 2015 Range Rover vehicle, and attorneys' tees. 3. Johnny and I began living together in or about 2012, and we were married on February 3, 2015. We do not have any children together. 4. During the entirety of our relationship, Johnny has been verbally and physically abusive to me. I endured excessive emotional, verbal and physical abuse from Johnny, which has included angry, hostile, humiliating and threatening assaults to me whenever I questioned his authority or disagreed with him. 5. Johnny has a long-held and widely-acknowledged public and private history of drug and alcohol abuse. He has a short fuse. He is often paranoid and his temper is exceptionally scary for me as it has proven many times to be physically dangerous and/or life threatening to me. Johnny relationship with reality oscillates, depending upon his interaction with alcohol and drugs. As Johnny's paranoia, delusions and aggression increased throughout our relationship so has my awareness of his continued substance abuse. Because of this, I am extremely afraid of Johnny and for my safety. I am petrified he will return at any moment to the [DELETE] residence, to which he has full access to despite my repeated pleas to his security team to prevent otherwise and to protect me, if restraining orders are not immediately issued. I strongly believe that in addition to DVROs, Johnny also requires enrollment in anger management courses and a Batterer's Intervention program. 6. Since early 2013 and throughout the entirety of our marriage, Johnny and I have resided at the Broadway residence. The residence is compromised of connected units. I am requesting exclusive possession and use of the 3 unit condominium (i.e., Units 3, 4 and 5). 7. On April 21, 2016, I celebrated my birthday with my friends at the [DELETE] residence. As everyone was preparing to leave my birthday party, Johnny showed up, inebriaTed and high. After my guests had left, Johnny and I had a discussion about his absence from my birthday celebration which deteriorated into a bad argument that started with Johnny throwing a magnum size bottle at champagne at the wall and a wine glass on me and the floor -- both which shattered. Johnny then grabbed me by the shoulders and pushed me onto the bed, blocking the bedroom door. He then grabbed me by the hair and violently shoved me to the floor. Johnny was also screaming and threatening me, taunting me to stand up. After several minutes, Johnny stormed out of the condominium, but not before tossing aside and breaking nearly everything in his path. 8. I did not see Johnny again for another month. 9. The next time I saw him was on May 21, 2016. He arrived at the [DELETE] residence at approximately 7:15 p.m. He was inebriated and high. At the time of Johnny's arrival, my friend Elizabeth Marz was present, along with my friend Raquel Rose Pennington and her fiance Joshua Drew who live in the adjacent apartment at the [DELETE] residence. 10. When Johnny arrived, at first, we were having a peaceful conversation in our living room talking about his mother's passing as I tried to comfort him while we sat on the couch. Suddenly, he began obsessing about something that was untrue and his demeanor changed dramatically. He became extremely angry. I tried to calm Johnny down by calling one of his trusted employees to alleviate his misplaced concerns, but it did not work. 11. Johnny was becoming increasingly enraged. I began to have concerns for my safety and sent a text to my friend Raquel who was in the condominium next door. I texted her to ask her to come over. As Johnny continued to rant in an aggressive and incoherent manner, he then demanded we call our friend iO Tillet Wright to prove his paranoid and irrational accusations about some delusional idea he was having. 12. As my call to iO went through on speaker phone, Johnny ripped the cell phone from my hand and began screaming profanities and insults at iO. I heard iO yell at me to get out of the house. Johnny then grabbed the cell phone, wound up him arm like a baseball pitcher and threw the cell phone at me striking my cheek and with great force. 13. I immediately covered my face and was crying because of the pain resulting from the phone hitting me. Johnny charged at me, insisting on seeing my face. He taunted me, challenged whether or not the cell phone actually hit me. He then forceably pulled back my hair as I attempted to stand up from the sofa. I then yelled out "Call 911" hoping it would be heard by iO who was still on the phone. Johnny continued screaming at me, pulling my hair, striking me and violently grabbing my face. 14. 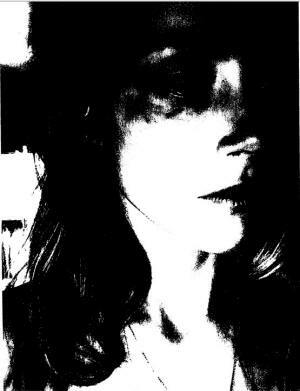 Raquel entered the condominium using the key I had previously provided to her. I then escaped Johnny's grasp as he momentarily seemed distracted by Raquel's entrance. 15. Johnny then charged me again after I had moved to the other side of the room. Raquel ran in between us and begged Johnny to stop. He then slapped away her arms that she had extended in a defensive manner and continued to yell obscenities at her. 16. I retreated to the couch. Raquel then came over to covered me in a protectively posture, while Johnny then picked up the magnum size bottle of wine he had been drinking out of, and he started swinging it around, smashing everything he could. 17. Johnny then stormed at me once again, demanding that I get up and stand. He did this -- about ten times -- getting closer to me, louder and more threatening each time. Johnny's security team, that included, Judge Jerry, entered the condominium at this time, but they stood back without saying or doing anything. I yelled to Jerry to please help me and told him that if Johnny hit me one more time I was going to call the police. I heard Jerry say, "Boss, Please." But Johnny continued screaming and breaking things, finally leaving the condominium. 18. As Johnny went down the hallway, he smashed another bottle of wine and then went into the adjoining condominium unit I use as my office, painting studio and closet. I could hear him destroying items of my personal property as he continued screaming. 19. Joshua and Raquel took me into their condominium for safety. Eventually I did not hear Johnny any more. 20. Collectively attached hereto as Exhibit "A" are photographs depicting the injuries to my lace and the property damage caused by Johnny. 21. I live in fear that Johnny will return to the [DELETE] residence unannounced to terrorize me, physically and emotionally. I require the protection of this Court via the issuance of Domestic Violence restraining orders. There also have been several prior incidents or domestic violence with Johnny, in particular there was one severe incident in December 2015 when I truly feared that my life was in danger. 22. In addition to the DVROs I am seeking, as I have no place to live other than the [DELETE] residence (my home for the past two years), I am requesting exclusive use and possession of said property. I also require exclusive use and possession of the Range Rover vehicle, which I am currently using. Further, I am requesting possession of my dog Pistol. 23. Although Johnny is extremely wealthy, he refuses to provide me with any direct financial support. Concurrent with this filing I am providing an Income and Expense Declaration. I am requesting $50,000 a month as and for pendente lite spousal support based on our marital lifestyle. 24. Except as to that which is based on information and belief, I have personal knowledge of the matters set forth herein and, and if sworn as a witness, I could and would competently testify thereto. This declaration is being submitted in lieu of personal testimony pursuant to Code of Civil Procedure §§2009 and 2015.5, California Rules of Court, Rule 5.118(f), and Reifler v. Superior Court (1974) 39 Cal.App.3d 479. I declare, under penalty of perjury pursuant to the laws of the State of California, that the foregoing is true and correct. Executed this 26th day of May, 2016 at Los Angeles. California. 1. I have firsthand personal knowledge of the facts stated herein and if called as a witness, I could and would competently testify thereto. 2. I submit this declaration in support of Petitioner AMBER LAURA DEPP's ("Amber") Request for CLETS Domestic Violence Restraining Orders against Respondent John Christopher Depp ll aka Johnny Depp ("Johnny"). 3. I have been friends with Amber since 2003. My fiance Joshua Drew and I live in one of the condominiums located at [DELETE] in Los Angeles. I have a key to the condominium units which Amber shares with Johnny. 4. On May 21, 2016, I was in my condominium with Joshua when I received a text message from Amber at approximately 8:06 p.m., asking me to come over to her condominium unit. 5. I immediately went over to Amber's place. When I got to the door, I could hear Amber and Johnny arguing inside. I knocked on the locked door, but there was no answer, so I quickly ran back to my apartment to get my key to open Amber's door. 6. I returned to Amber's condominium less than a minute later. When I opened the door, I saw Amber by the couch in the living room covering her head with her arms and hands, as Johnny was loudly screaming at her. 7. I ran over and stood in between Johnny and Amber, begging Johnny to stop yelling at her. I put my hands out in a defensive manner motioning him to stop. Johnny slapped my hands away and screamed foul obscenities at me. I then tried to covered Amber up with my body to protect her from him. 8. Johnny picked up a magnum size bottle of wine and began swinging it like a baseball bat. Wine was flying all over the walls, floors and furniture, and he began using the bottle to smash everything he could. 9. He then charged at Amber, screaming at her to stand up. He repeatedly yelled at Amber to stand up -- about ten times -- and each time, he got closer, louder and more threatening. 10. Johnny's security team then arrived, which included Jerry Judge, but they each stood back and did not say or do anything. 11. Amber pleaded with Jerry to help and said that if Johnny hit her one more time she was going to call the police. 12. Jerry said "Boss. Please." 13. Johnny continued screaming and breaking things, before finally walking out of the apartment and into the hallway where he continued screaming and breaking things. 14. I could hear Johnny go into Amber's private condominium, where she keeps her personal belongings and artwork, and continue to scream and break things. 15. Joshua came into the condominium unit and together we took Amber into our condominium unit for safety. 16. I observed that Amber sustained a significant injury to her right eye as a result of the incident with Johnny, as there was redness and swelling. Amber was crying, shaking and very afraid of Johnny. 17. Finally, I heard Johnny leave the premises. I then took pictures of Amber's face which are attached as Exhibit "A" to the Declaration of Amber. 18. Many times over the past few years, Amber has confided and complained to me about Johnny's abusing her, both physically and verbally. 19. Except as to that which is based on information and belief, I have personal knowledge of the matters set forth herein and, and if sworn as a witness, I could and would competently testify thereto. This declaration is being submitted in lieu of personal testimony pursuant to Code of Civil Procedure §§2009 and 2015.5, California Rules of Court, Rule 5.118(f), and Reifler v. Superior Court (1974) 39 Cal.App.3d 479. I declare, under penalty of perjury pursuant to the laws of the State of California, that the foregoing is true and correct. Executed this 27th day of May, 2016 at Los Angeles, California. Amber Heard reportedly felt pressured after seeing how she was being portrayed after filing for divorce. The actress, who has claimed that she was subject to "emotional, verbal and physical abuse" during her 15 month marriage to Johnny Depp, was given a domestic violence restraining order the actor yesterday. It's thought that she went public with her claims after she became increasingly unhappy with how the divorce proceedings were making her look. A source told The Sun: "Amber is furious with how the divorce has been portrayed. She's taken the option to go nuclear." Amber shocked the world when she filed for divorce just three days after Johnny's 81-year-old mother passed away. 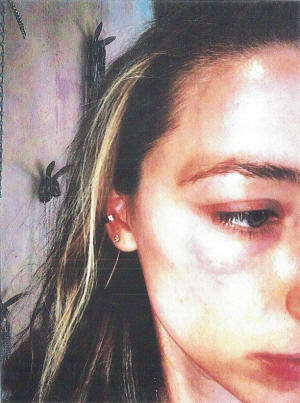 In a written declaration in court, Amber claimed that she "lives in fear" of her husband returning to "terrorise" her. 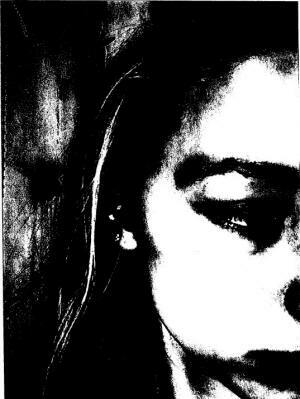 She said: "During the entirety of our relationship, Johnny has been verbally and physically abusive to me. I endured excessive emotional, verbal and physical abuse from Johnny, which has included angry, hostile, humiliating and threatening assaults to me whenever I questioned his authority or disagreed with him," the statement to the court read. "I live in fear that Johnny will return to (our house) unannounced to terrorise me, physically and emotionally." A statement from his representatives following the divorce filing read: "Given the brevity of this marriage and the most recent and tragic loss of his mother, Johnny will not respond to any of the salacious false stories, gossip, misinformation and lies about his personal life. "Hopefully the dissolution of this short marriage will be resolved quickly." If a sixth grade non-fiction book report and a proof-of-life hostage video got married and had a baby, it would look like Amber Heard and Johnny Depp’s apology video. 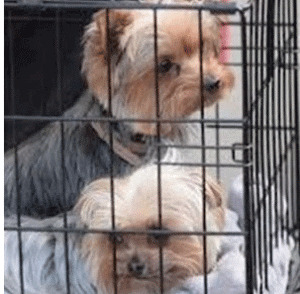 Background: In Australia’s “War on Terrier” (HA HA), Johnny Depp’s actress wife Amber Heard admitted she was wrong for bringing her and Depp’s Yorkies, Pistol and Boo, into Australia without the mandatory permit and 10-day quarantine. The reason for the quarantine laws is that Australia is a continent with its own ecosystem, and when you flout rules because you are a famous rich person whose last good movie was arguably What’s Eating Gilbert Grape (1993), you end up putting the entire continent at risk. Things can occur, from the introduction of new diseases and parasites up to and including Jurassic Park. Heard was accused of sneaking Pistol and Boo onto a private jet so they could hang out with their daddy, who was shooting the fifth Pirates of the Caribbean film, which is sure to be awesome. At first Depp and Heard did not seem to treat their abuse of the law with much respect. Last year, at the Venice Film Festival, when asked if his dogs were going to take a gondola ride, the star of Mortdecai (2015) and The Lone Ranger (2013) answered, “No, I killed my dogs and ate them, under direct orders from some kind of, I don’t know, sweaty, big-gutted man from Australia.” However, when the actual threat of jail time loomed, all parties decided to agree that Heard had been jet-lagged and forgot to register the dogs (though she pleaded guilty to providing a false immigration document) and the couple made the informative video. “Australia is a wonderful island with a treasure trove of unique plants, animals and people,” Heard sing-songs, sounding like my daughter doing her report on ancient Rome. “It has to be protected,” Depp mutters, looking dead-eyed and sounding slightly like late-stage Marlon Brando. “And Australians are just as unique, both warm and direct,” Depp says, sounding like he would like to kill a man in Reno just to watch him die. “Declare everything when you enter Australia, thanks,” Depp grunts. And the video ends. And we all go rent The Tourist (2010). Wait, no we don’t. Johnny Depp and Amber Heard's "toxic" marriage irrevocably broke down weeks ago, following months of "blazing rows" and tension between the couple a new report has claimed. The Rum Diary actress, 30, filed for divorce from the Hollywood star, 52, on Monday 15 months after they tied the knot, with the official separation date given as the day before. But, according to The Sun, things came to a head last month shortly after they were forced to appear in an embarrassing apology video, after illegally bringing their dogs into Australia, which made them a global laughing stock. “Johnny felt humiliated by the whole ordeal and believes Amber made him look like a fool," a source told the paper. While Amber was the one who began the legal process to end their union, it was reportedly Johnny who had had "enough" of the marriage. 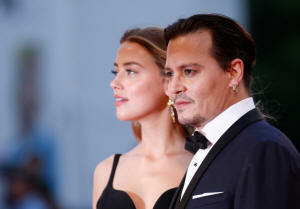 Amber and Johnny had appeared head-over-heels in love after first going public with their union in 2012, but the 22-year age gap began to take it's toll on their relationship, sources claimed, with the actress frustrated at the former hard-partier's "boring" lifestyle. A Hollywood source said: “Amber is a party girl and Johnny just isn’t into that scene any more. “He prefers to stay indoors on his own or with a small group of friends, have a smoke and watch some old movies. They continued: “Johnny had absolutely no interest in heading to bars or clubs, despite being so popular around the world. Amber believed she could lead a proper lavish, Hollywood lifestyle with Johnny. Yesterday Johnny addressed the short split in a statement and referred to the union as "short" and "brief". Was the 22-year age gap to blame? "Given the brevity of this marriage and the most recent and tragic loss of his mother, Johnny will not respond to any of the salacious false stories, gossip, misinformation and lies about his personal life,” his representative said in a statement.